What Are The Chances Of Nigeria To Qualify From The Group Stage? One of the strongest African sides, Nigeria will begin their World Cup on Saturday against one of the most balanced sides in World football, Croatia. The African nation have produced so many young talents and they will hope to give a great performance in the World Cup in Russia. Though, the journey will not be very much easy for the young Nigerian side. If we try to analyse the squad of Nigeria, we will easily find that the attacking lineup of the side is looking really strong. Former Watford Striker Ighalo has the experience of playing in the Premier League. On the other hand, the likes of Ahmed Musa and Kelechi Iheanacho are also very much familiar names in English Premier League football circuit. Former Leicester City striker Ahmed Musa has regained his form in his loan spell at CSKA Moscow at the back end of the season. Kelechi Iheanacho has also the experience of playing in the top quality Premier League sides like Manchester City and Leicester City. Nigeria generally plays with a formation of 4-3-3. Ighalo will always be the first choice centre forward for them. On the other hand, Victor Moses and Alex Iwobi will play in both the flanks for them. 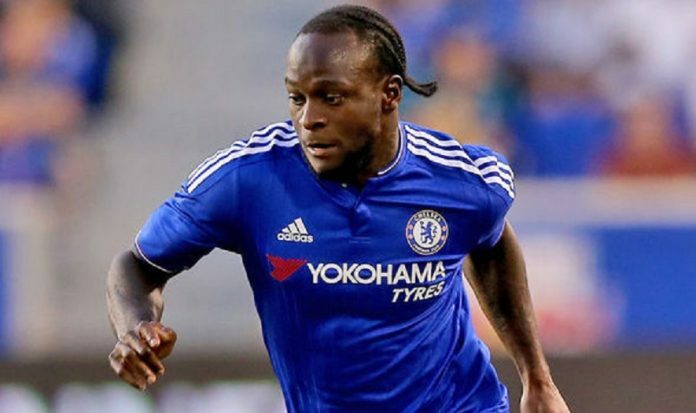 Victor Moses was an integral part of the squad of the Blues in their Premier League triumph one season back. Victor Moses’ football career has been completely changed by the influence of Antonio Conte. Antonio Conte has kept faith on him and the player has delivered a lot under his management. On the other hand, Alex Iwobi will also be a player to watch out for. The youngster from Arsenal academy is really improving day by day. His influence will be a crucial factor for the Nigerian side in the Group Stage of the World Cup in Russia. If we come to the midfield of Nigeria, we will find the experience of the former Chelsea player John Obi Mikel. It will be a fascinating contest to see the battle between Luka Modric and the veteran midfielder John Obi Mikel in the midfield. There is also the presence of Wilfred Ndidi who is currently playing for Leicester City and all top European clubs are interested to sign this youngster in this summer transfer window. So, a good performance in the World Cup can prove to be vital for Wilfred Ndidi to take his career to another level. The defensive unit of the Nigerian side are not looking very much strong. This might be a point of concern for the manager of the Nigerian side. Argentina and Croatia are two favourites to qualify from the Group of Nigeria. But, the opening match is going to be vital for the African Giants. A good result against Croatia will surely boost them up for the rest of the matches in the Group Stage of the World Cup in Russia. There was a 4-2 win against Argentina for the Nigerian side in a recent friendly encounter. The African Giants will hope for a same result in the World Cup to qualify from the Group Stage. Arsenal Want A New Goal-Keeper Now, Will This Deal Actually Happen?